In 1921, the Territorial Legislature authorized the construction of a memorial dedicated to the men and women of Hawai‘i who served in World War I, on the former Irwin property – it is known as the Waikīkī Natatorium War Memorial. The Natatorium was completed in the summer of 1927, the first “living” war memorial in the United States and as a symbol of the way of life those who served fought to defend. It is a “living” memorial in that it included a 100 X 40 meter saltwater swimming pool, built to honor 102 who died and the nearly 10,000 others who served in WWI from Hawai‘i. The pool is surrounded on four sides by a twenty-foot wide deck which is enclosed on the three ocean sides by a three-foot high wall. On the fourth, mauka side, concrete bleachers rise thirteen levels in height and provide seating for approximately 2,500 people. Olympic Gold Medalist and icon of modern surfing, Duke Kahanamoku swam the first ceremonial swim at its opening on August 24, 1927, his birthday. An AAU National championship swimming meet, with swimmers from Japan and South America participating, capped the opening activities. Olympic champion, Johnny Weissmuller, broke the world’s record for the 100-meter freestyle swim, and in the following three days of competition, set new world’s records for the 440 and 880-meter freestyles, cutting more than ten seconds off the previous world marks for these events. Clarence “Buster” Crabbe, a local swimmer, who would later replace Weissmuller in the famous “Tarzan” series, won the 1,500-meter contest. During its heyday, the Natatorium hosted celebrity swimmers including Esther Williams, as well as 34 members of the International Swimming Hall of Fame. It was later also used by the DOE for its mandatory elementary school Learn to Swim Program (lots of kids learned to swim here. Owned by the State but operated under an executive order to the City, the Natatorium was closed in 1979 due to thirty years of neglect. The Natatorium is on both the National and State Registers of Historic Places. In 1995, the National Trust for Historic Preservation placed it on its Most Endangered list. 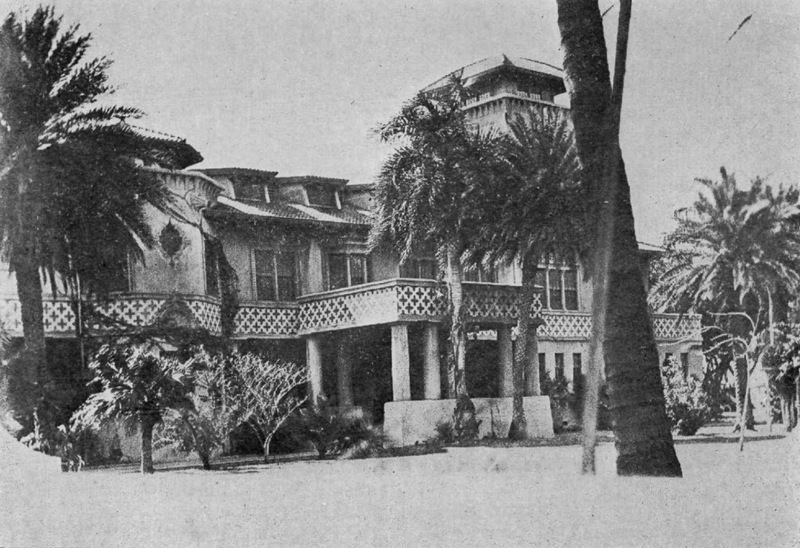 In 2005, Historic Hawai‘i Foundation listed the site on its inaugural Most Endangered Historic Sites list. In November 2009, Mayor Mufi Hannemann announced that he will accept the recommendation of the Waikīkī War Memorial Natatorium Task Force to preserve the historic Natatorium’s memorial arches by reconstructing them further inland, and to create additional beach space by demolishing the crumbling swimming pool and bleachers. Despite the announcement, the natatorium didn’t get torn down anytime soon (it’s still standing.) Demolition requires an environmental impact statement, permits, extensive planning, design and funding – about $15.1 million, according to the city. The process could take eight years. In May 2011, Mayor Peter Carlisle stated that the City is in the process of developing an Environmental Impact Statement according to the recommended option of the Natatorium Task Force and advanced the recommendation to tear down the long-closed Natatorium. 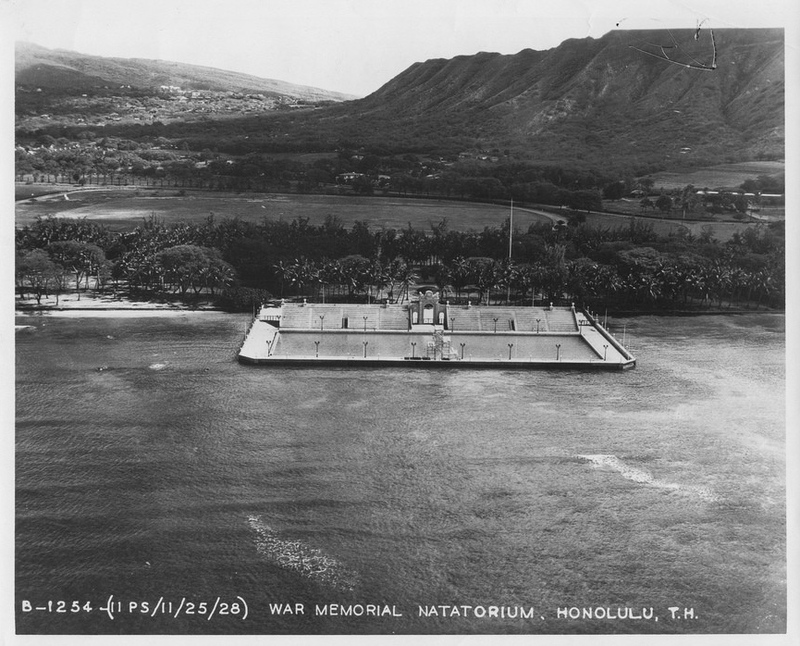 The Friends of the Natatorium, which maintains this site, advocates for the preservation and restoration of the Waikīkī Natatorium War Memorial, seeking the return of this facility to active recreational use by the families of O‘ahu and by visitors to Hawai‘i. However, recent reporting notes that the City and State intend to tear down the Natatorium pool and replace it with a new beach and park area; the war memorial arches will be moved away from the shoreline. Like a lot of other kids in those days, I swam in the Natatorium pool and walked its decks. 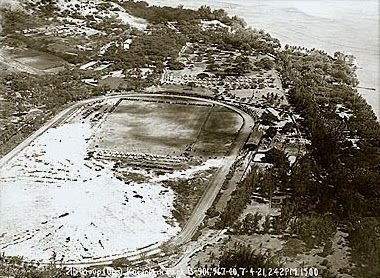 The image shows the natatorium in 1928. In addition, I have added other related images in a folder of like name in the Photos section on my Facebook and Google+ pages. The band accompanied reigning monarchs on frequent trips to the neighbor islands and brought their music to remote destinations of the kingdom such as Kalaupapa on the island of Molokaʻi. One notable bandmaster was Heinrich (Henri or Henry) Berger. He came from Prussia at the request of Kamehameha V, who asked Emperor Wilhelm I to send a conductor. On June 3, 1872, Berger arrived in Honolulu on board the steamer “Mohongo” and one week later conducted his first public concerts. After four years, Berger returned to Germany, had himself released from his duties in the Prussian military and then came back to Hawaiʻi for good. He gave 32,000 concerts, composed 250 Hawaiian songs, some of which are still being sung around the world, and 1,000 other tunes. He wrote down indigenous hymns that had until then only been passed on orally. And on Sundays, taking turns with his friend, Queen Liliʻuokalani; he played the organ in Kawaiahaʻo Church. Lili’uokalani was a formidable composer in her own right. Her song, “Aloha ‘Oe” (Farewell to Thee), became world-famous. Berger had arranged it for her. During the Second Wilcox Rebellion of 1895, Berger had to find new, mostly non-Hawaiian musicians. He was commanded by the now Republic of Hawaiʻi to give concerts in order to soothe the agitated mood of the citizenry. 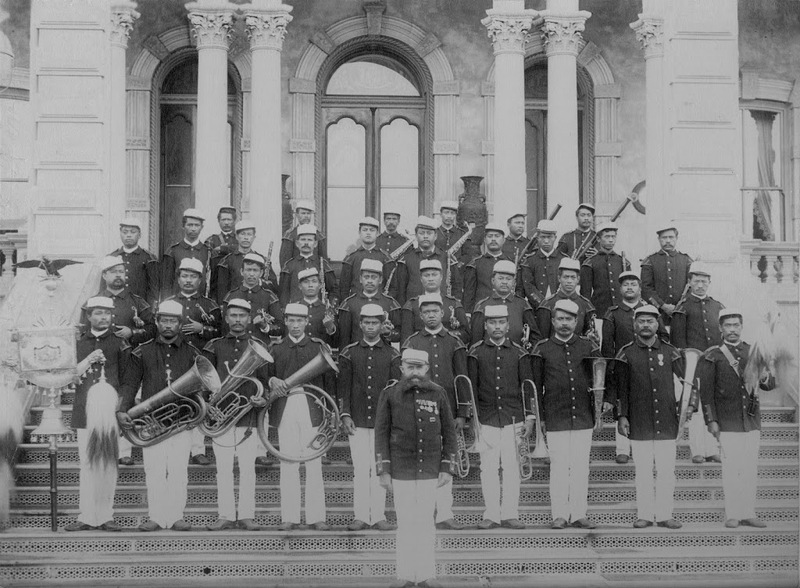 Today, the Royal Hawaiian Band is an agency of the City and County of Honolulu and is the only full-time municipal band in the United States. The Band is made up of 40 full-time positions and functions as a concert band, a marching band and a glee club ensemble. The band performs and marches in over 300 concerts and parades each year including: city, state and military functions; schools, community centers, shopping malls, retirement communities, graduations and private events. Weekly public performances are held on Fridays at ʻIolani Palace and Sundays at the Kapiʻolani Park Bandstand.